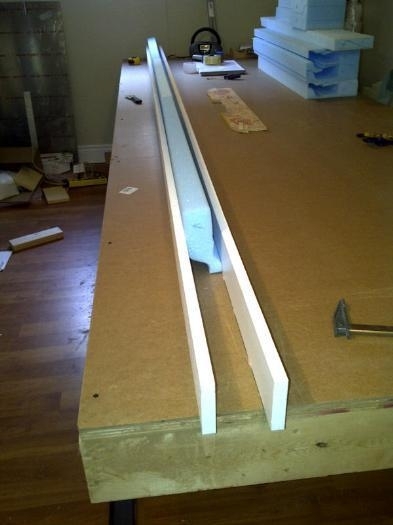 Glued plastic trim pieces down to the table. 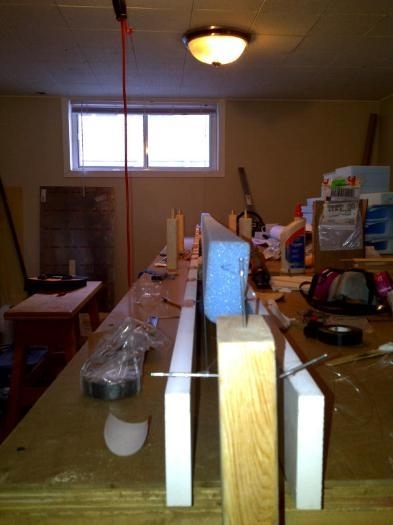 I used plastic because there is less twist in the plastic trim relative to pine boards. The plastic trim pieces are pretty much perfectly straight. 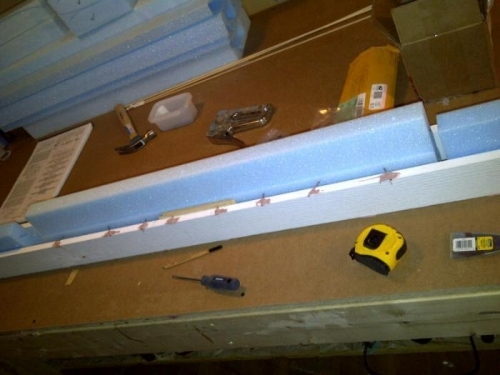 The foam canard cores are then aligned and fixed in place with finishing nails.